We would love to hear from you! However, please keep in mind we are an entirely volunteer-run organization. Please be sure your question is not answered on our FAQ page (above) before writing. Thanks so much! Your note will be received by the Council, and passed on to the appropriate Representative or committee if necessary. 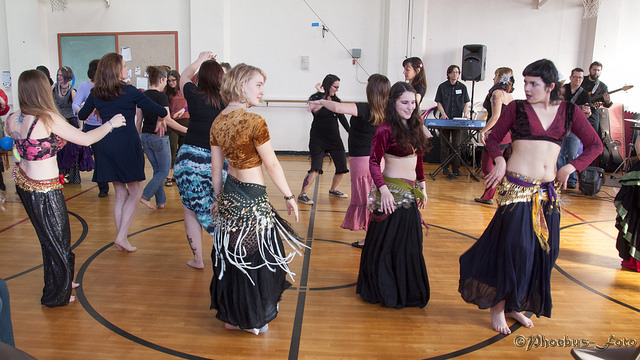 Sign up below for our monthly newsletter of local belly dance events, which anyone is welcome to receive. Members automatically receive an additional newsletter with community opportunities, calls to vote, Guild Giveaway invitations, etc. Your preferred first name. (Can be a stage name.) Publicly visible. Your preferred last name. (Can be a stage name.) Publicly visible. For PBG records ONLY. NOT Publicly visible. A photo of you. Please make sure you have photo rights to the picture you're using. Publicly visible.